Utagawa Kuniyoshi's 'Modern Checkered Materials for Night Cooling Among the Flowers' (c.1848) is offered by Stanza del Borgo at the Fine Art Print Fair. Organised by the International Fine Print Dealers Association, the fair takes place from October 25-28 at the River Pavilion, Javits Center in New York. Here are six stand-out works featured in next months’ event. 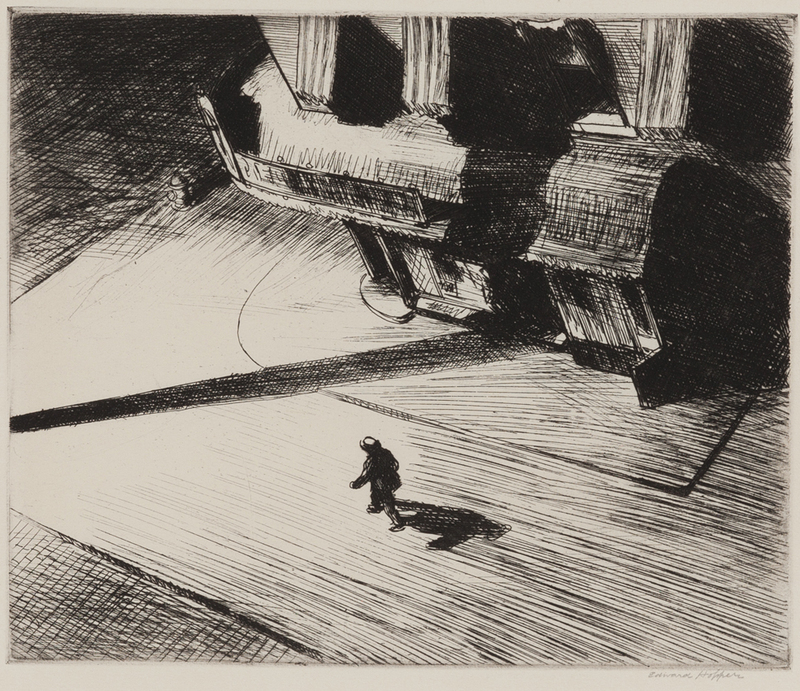 Childs Gallery offers this 1921 etching Night Shadows by US artist Edward Hopper. It shows a bird’s-eye view of a city street corner in dark tonalities. Another version of the print is in the collection of the Metropolitan Museum in New York, which says that the setting was inspired by an actual New York location. “Hopper’s sensibility in such a work as Night Shadows forecasts the film noir style of the 1940s, with its shadowy lighting and its narratives of crime, guilt and betrayal,” it says. It is offered by Childs Gallery, which focuses on fine US and European artwork from the Renaissance to the contemporary and is based in Boston. 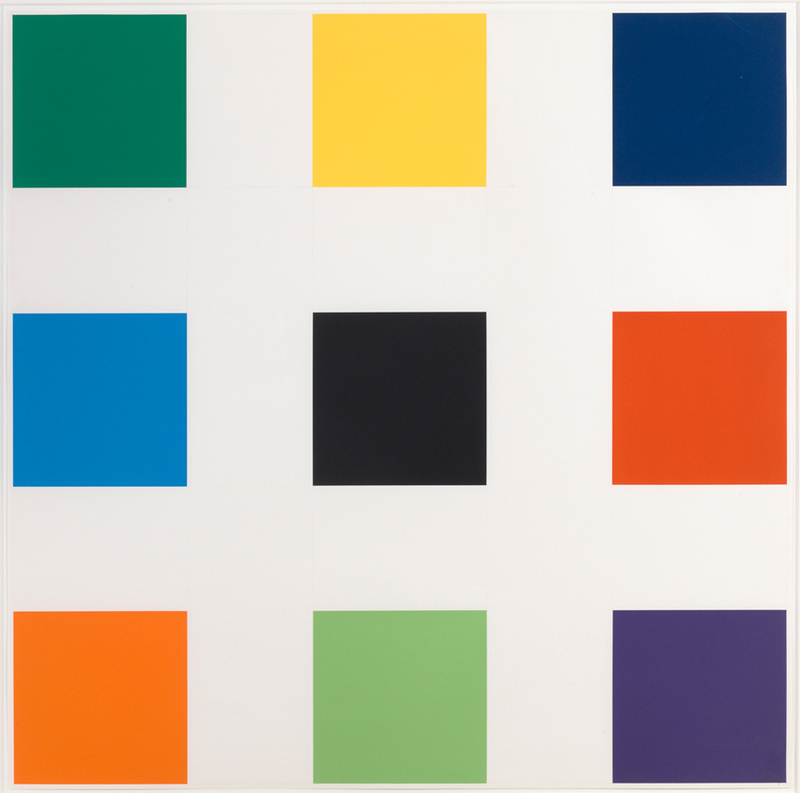 The US painter, sculptor and printmaker Ellsworth Kelly (1923-2015) often emphasised line, colour and form in his works, frequently employing bright colours. This 1977 screenprint Nine Squares is available from the stand of Susan Sheehan Gallery, a specialist in post-war American prints and works on paper. Frida Kahlo’s (1907-54) image is increasingly in the public eye. Most recently, the exhibition Making Herself Up at the Victoria and Albert Museum explores the clothes and accessories the artist used to present herself. This print of Kahlo by her husband Diego Rivera (1886-1957) presents her in a different light, however. Here she is seen seated at the edge of a bed wearing only high heels, stockings and beads, with her eyes closed and her arms behind her head. 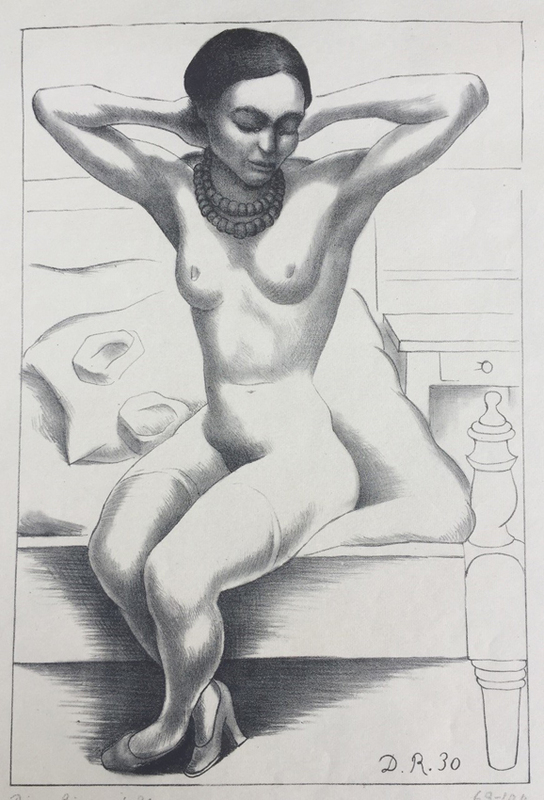 According to dealership Roger Genser: The Prints and the Pauper, which offers the piece at the show, it is the only print her husband Diego Rivera ever made of her and one of only 10 lithographs he made in total. Made 1930 in Mexico, it is one of an edition of 100 produced in association with Weyhe Gallery in New York. Stanza del Borgo, an Italian gallery specialising in Old Master drawings and Japanese prints, offers this woodblock print by Utagawa Kuniyoshi (1797-1861). It depicts Modern Checkered Materials for Night Cooling Among the Flowers and was produced c.1848. The polyptych is evenly printed and rare for its state of preservation and being offered in its entirety. George Friedrich Schmidt (1712-75) was a German engraver and designer. He studied in Berlin and Paris before being appointed engraver to Frederick II in Berlin in 1744. 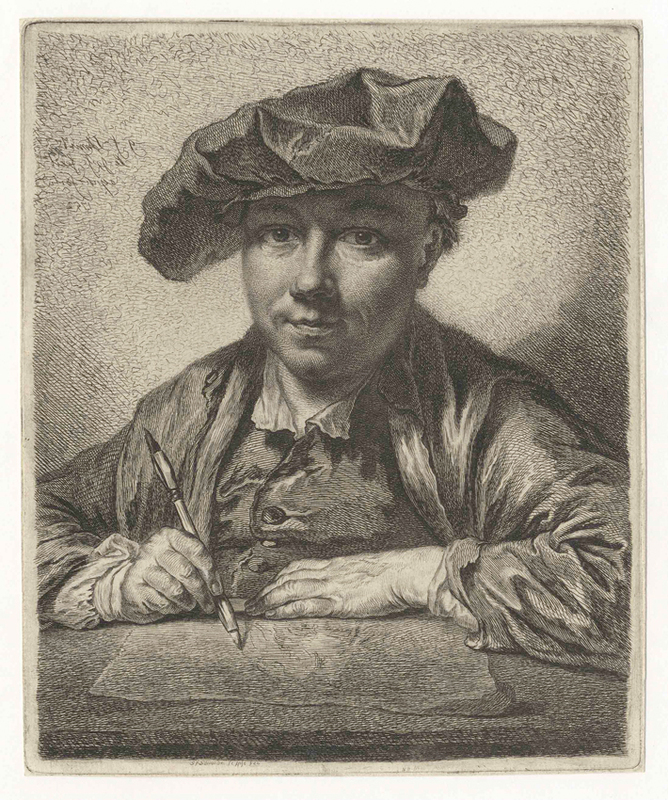 He completed this self-portrait (an etching on laid paper) in 1752. It is typical of his work which is inspired by the style of Rembrandt. In 1757 Schmidt was summoned to St Petersburg by Empress Elizabeth to engrave her portrait and organise a school of engraving. Dealership CG Boerner, which has specialised in prints and drawings since it opened in Leipzig in 1826, has the print on its stand. The gallery has also been located in Dusseldorf since 1950 with a branch in New York since 1984. Ursus brings a copy of Le Cirque from 1950 which is illustrated with 75 lithographs by Fernand Léger (1881-1955). It is regarded as his master graphic work, comprising 34 colour lithographs and 29 black. It includes text that he wrote and explores themes and images of the circus and countryside. 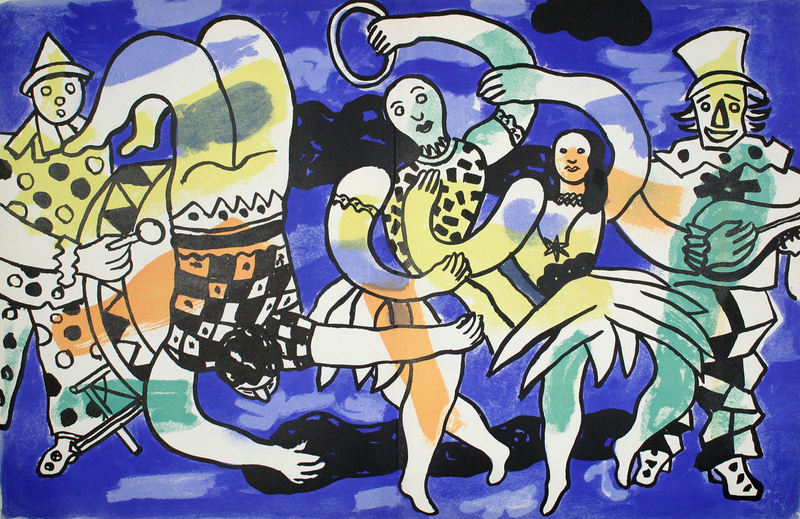 The prints in Le Cirque represent almost half Léger’s total output. It is available on the stand of Ursus Books, a New York dealership.